Kiran Charities has identified seven areas that significantly enhance the teaching and learning process, and enable a school to attain the recognition of a Kiran Model School. There are seven standards that are essential to a Kiran Model School. Kiran Charities seeks out children who are not enrolled in school and ensure they, and their parents, understand the importance of enrolling and staying in school. To that end, they provide economic assistance in the form of loans or gifts to families of students that struggle to meet tuition payments. 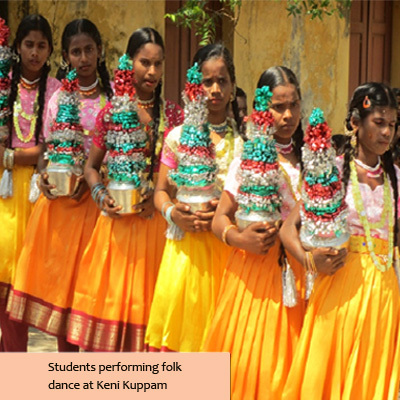 Kiran Charities also encourages parental involvement in the education of their children. To that end they support community meetings to educate parents about the importance of schooling in the lives of their children. Additional initiatives include underwriting the cost of tutoring sessions organized by the schools weeks ahead of National Examinations for 10th and 12th grade students. To qualify as a Kiran Model School of Excellence, a school must exceed a 90% pass rate on its 10th and 12th standard national examinations. To work in a Kiran Model School, teachers must maintain rigorous performance standards. We have already assumed responsibility for augmenting existing salaries, or paying salaries where none previously existed. 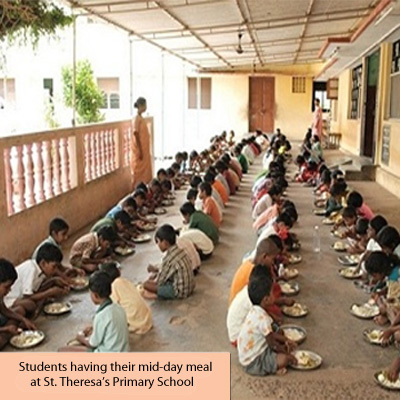 Kiran Charities has also instituted a successful bonus structure based on student attendance & performance, teacher attendance & performance, and any continuing education classes completed by the teachers. The allocation of bonus salaries is determined through the use of a computer program and algorithm that assigns values to test scores, attendance records, and teacher ratings submitted monthly by each school administrator. Kiran Models Schools must adhere to acceptable health and nutrition standards for their students. We have replaced existing toilet facilities or built new ones to serve the growing student population. Upgrading kitchen facilities to meet more rigorous health & sanitation standards, and improving the cleanliness of sleeping quarters, either by eradicating current pest infestations or by building new structures in which to house students is also a Kiran Charities initiative. Instructional resources relevant to the development of 21st Century skills are an essential component of each school. Internet service and supporting technology are a fundamental need in each model school. In support of installed technology, Kiran Charities underwrites the cost of online tutoring programs, English- speaking software, and teacher training for classroom technology. If students are expected to compete in a global economy, then they need to recognize and learn English as the international language of business. In addition to the English-language initiatives of continuing education classes, English-language software, and tutoring sessions, Kiran Charities is able to contract with local English-speaking college students or other local professionals to teach English classes to students. We train our students to pass TOEFL by 10th grade. 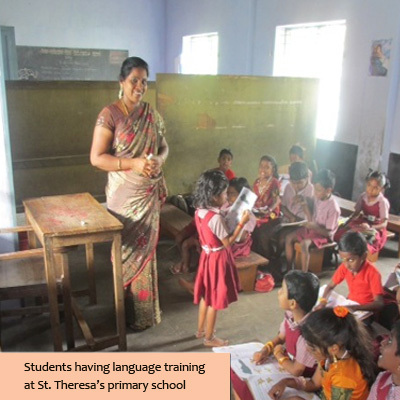 Vocational guidance is recognized as an essential component of a Kiran Model School. In addition to providing career guidance for secondary students, the charity is able to establish relationships with local colleges and universities to facilitate the admission of qualified students wishing to earn technical or professional degrees. 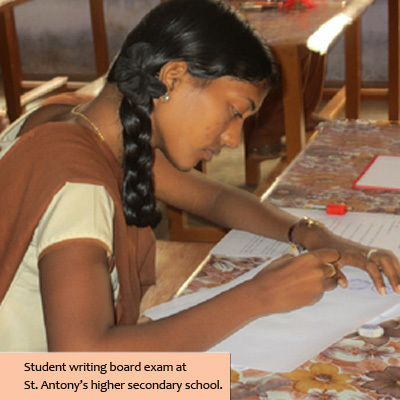 Kiran Charities is also able to offer tuition assistance programs for qualified students. We want a student at a Kiran Model School to look beyond the borders of his or her village and realize unlimited potential for advancement and the pursuit of an enriching life full of service and opportunity. A student in a Kiran Model School is instilled with a value system that embraces universal human rights and recognizes Western concepts of equality, service, and entrepreneurship. Outreach activities include sponsoring Sister School relationships with schools in the U.S., U.K., and other English-speaking countries in order to foster an appreciation of other cultures and education systems. At Kiran Charities, we are not just seeking to produce graduates who will go on to enjoy professional success, but graduates who will give back to their communities and the world at large. Our graduates will be confident global citizens, equipped with the qualities and education necessary to assist others toiling along the same path.